December 17, 2015 is the 112th annual celebration of the Wright brothers’ first flight and the perfect time to visit Outer Banks. 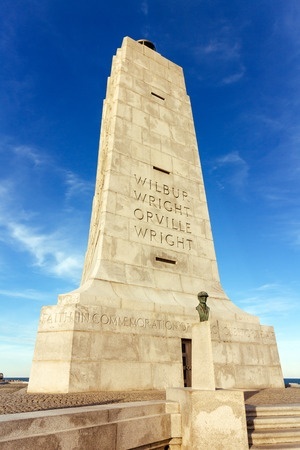 Celebrate this event with the First Flight Society and the Wright Brothers National Memorial in Kitty Hawk, North Carolina; just a short drive away from Surf Side Hotel. This flight lasted only 12 seconds, but it opened the doors of aviation to incredible advancements and changes. Orville Wright flew their plane 120 feet, marking the beginning of controlled flight. Before the big day in 1903, the Wright brothers had been visiting Outer Banks for years, conducting flight experiments and perfecting their glider. All this hard work paid off and their years of dedication paved the way for controlled flying to become a reality. A non-profit organization aimed at increasing public awareness and interest in flight, the First Flight Society works to share the history of Orville and Wilbur Wright and their flying machine. Join the group for their annual celebration dinner on December 16, 2015 to learn more about the history of flight and celebrate all the accomplishments that have been made over the past 112 years. To purchase a ticket, contact the First Flight Society at 252-441-1903. Ready to start planning your Outer Banks vacation? Book your stay at Surf Side Hotel and visit our blog to see what holiday events are going on in the area!